Ring:bit car V2 lights-bar module is the dedicated module which designed for Ring:Bit Car V2. It brings you beautiful mutiple color with simple assemble. 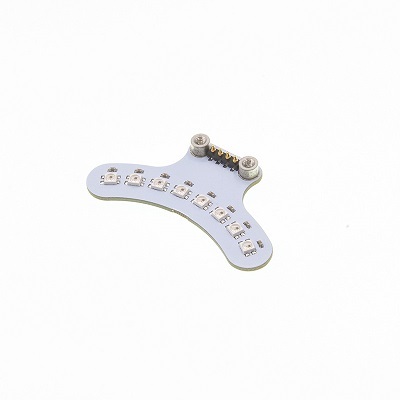 Come with 8 Rainbow full color LEDs. You can update your ring:bit car to a car with headlights and rainbow lights. Input voltage 3V~5V，and directly drived by micro:bit. Standard 3 line GVS port, only occupy one I/O port. 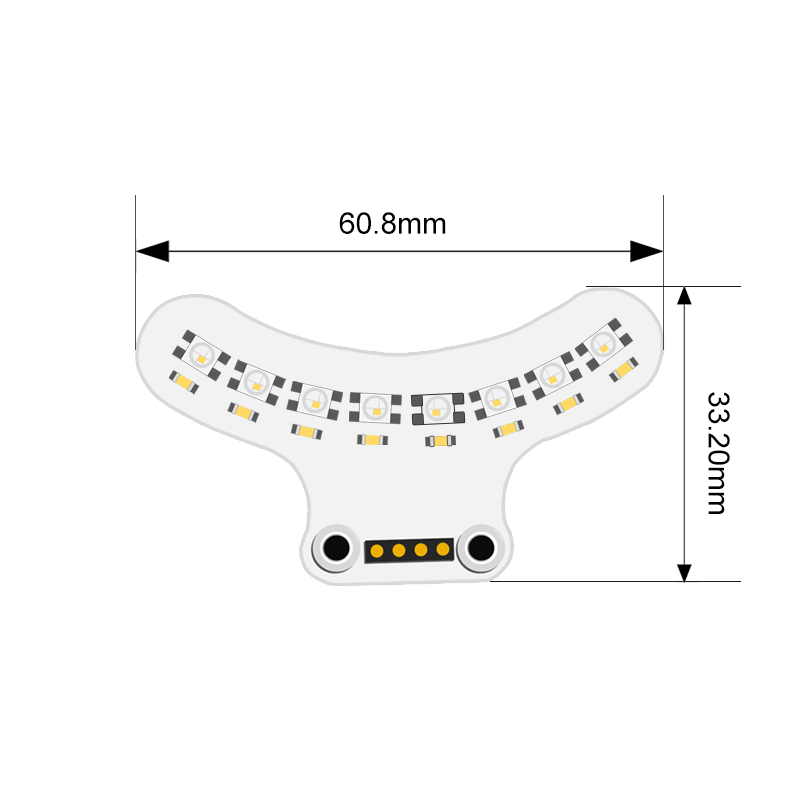 8 small LEDs, power saving and energy saving. 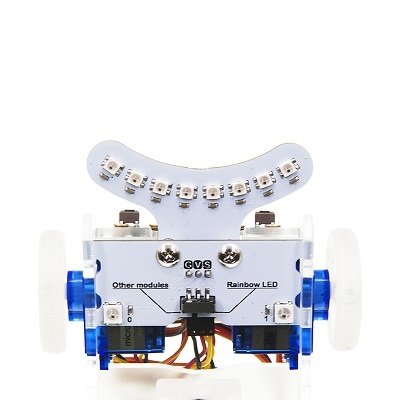 Each leds can be code independently and show RGB color. First, insert this module to the baseboard of the Ring:bit car V2. 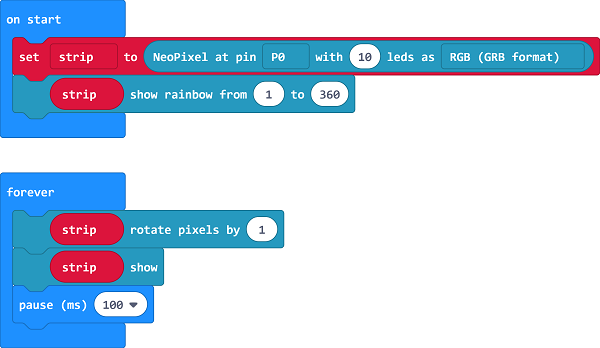 Program a simple light-bar code in the makecode . 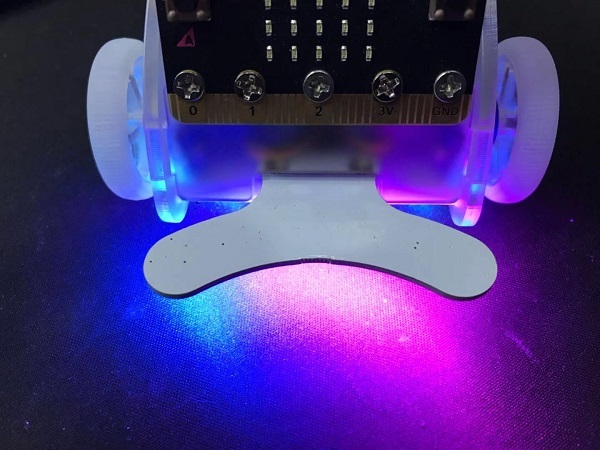 Set and initialize “strip” variable, connect LED from P0-P10. Set LED to show rainbow color. Move the color one by one in forever loop.